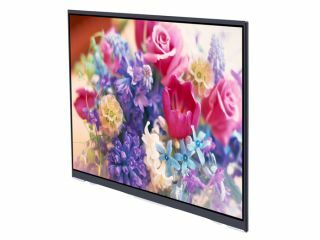 The new breed of OLED televisions are, without a doubt, wondrous to behold, but the use of organic materials that degrade gives them a lifespan that's around 40 per cent less than a standard LCD screen. That, however, is no longer a concern - providing you buy a TV from Toshiba Matsushita Display Technology. The joint venture between the two electronics heavyweights has come up with a new display that doubles the life of OLED screens by increasing the efficiency of the way they use emitted light. A metal membrane inside the prototype 20.8-inch screen helps deliver light from polymers in the substrate out through the glass surface more efficiently than current OLEDs can manage. The end result means the brightness can be halved while maintaining the same picture quality, which adds up to doubling the lifespan of screens using the new method. An OLED TV like Sony's XEL-1 is rated at 30,000 hours - or eight hours a day for ten years - so it's clear that the Toshiba Matsushita approach will eliminate concern for all but the most thrifty of telly addicts.